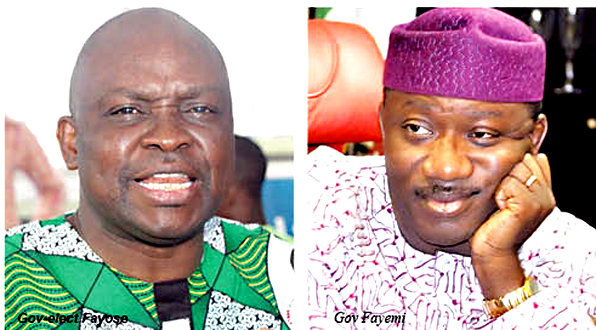 Fayemi who spoke via the Chairman of the Inauguration’s Media and Publicity Committee, Mr Yinka Oyebode , disclosed that the outgoing governor is free to grace the epoch-making event. “The committee for Dr Fayemi’s inauguration has been communicating with those working on the side of the government. The government also graciously gave us the use of some of its facilities, so we have been working together. “President Buhari attaches much interest in the ceremony, because of the love he has for Ekiti and he will also be attending as the father of the nation. “All the State governors have been invited and Governor Fayose, being an outgoing Ekiti governor is free to attend”, Fayemi said. He said the post-inauguration will feature a town hall meeting across the three senatorial districts of the state, where he would rub minds with stakeholders on how best to confront the challenges militating against the people.